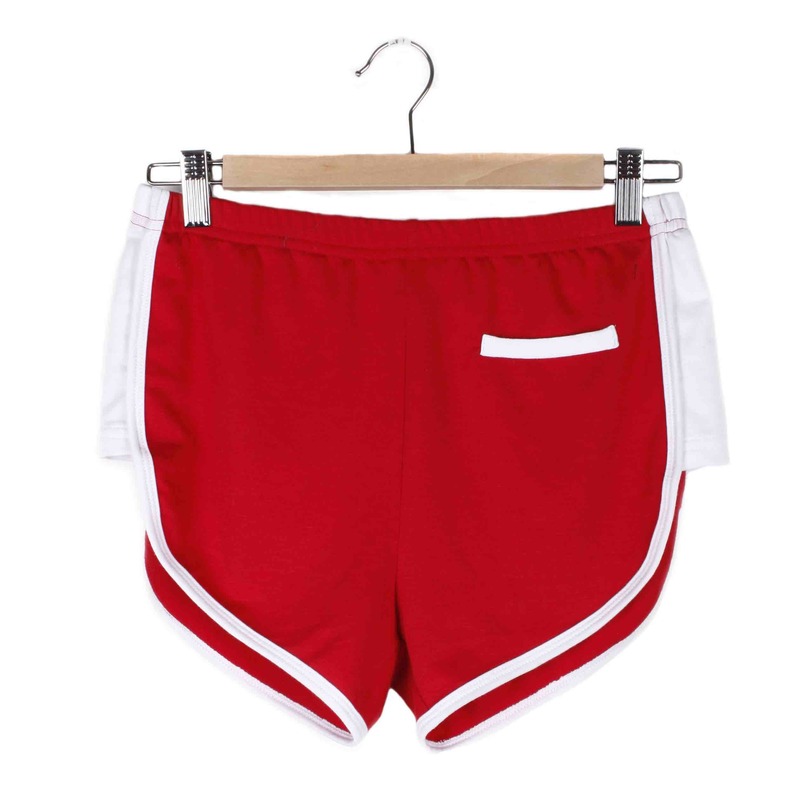 For gettin' cheeky at the roller rink, car wash, or just on your day off. 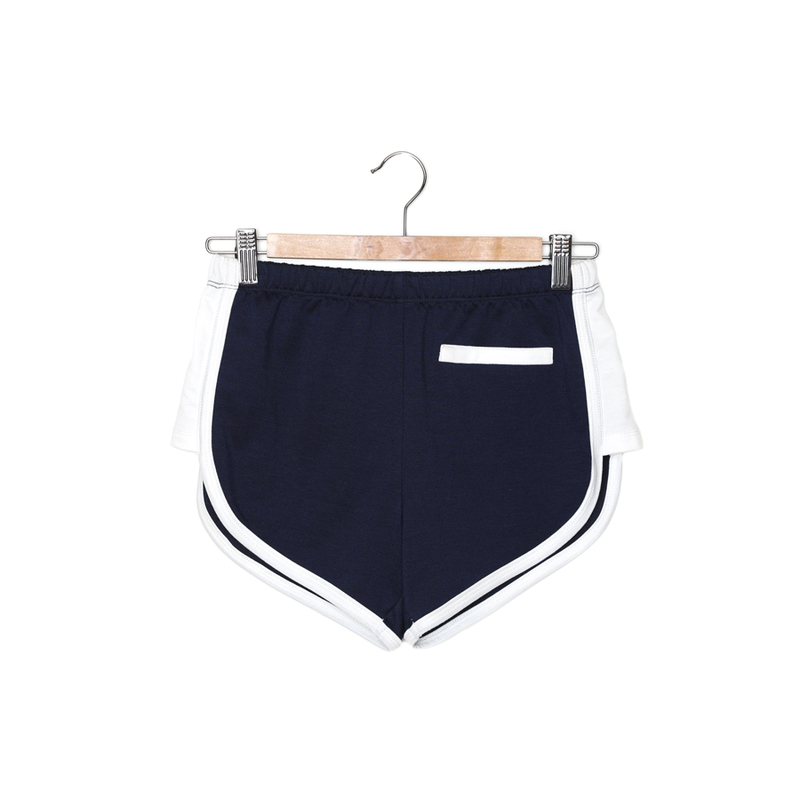 French terry shorts with elastic waistband. Faux welt pockets on front and back. Cut higher on the sides than in the front and back. – Dry clean or hand wash cold, separately. Lay flat or hang to dry. XSmall 24" 3" 7.5" 8"
Small 26" 3" 7.5" 8.5"
Medium 28" 3" 7.5" 9"
Large 30" 3" 7.5" 9.5"
XLarge 32" 3" 7.5" 10"